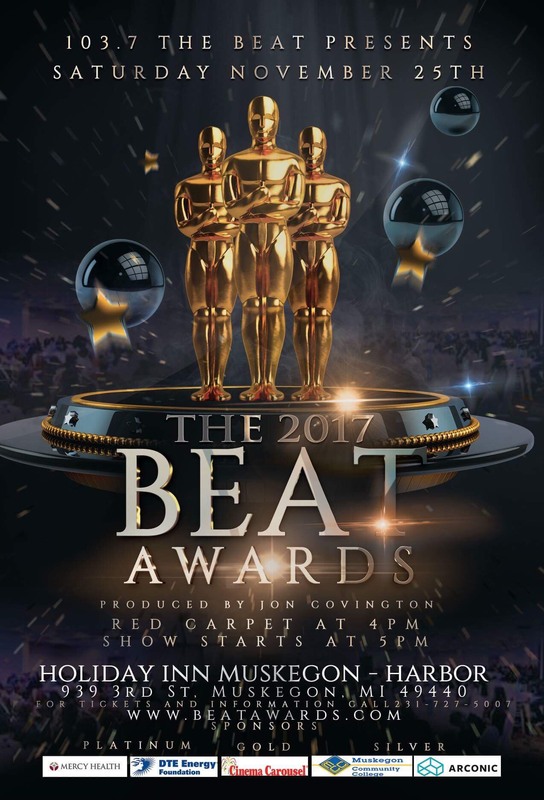 Beat Awards Tickets will be available 10:00 a.m. to 7:00p. m.
Tickets ONLY available at Radio Station 1877 Peck St. Muskegon Mi unless advised of additional location at a later date. Tickets move quickly! If planning to attend with others, purchasing a table is advised. All tickets purchases are first come, first serve. Up until November 8, 2017 5:00 p. m. ONLY, we can hold reserved tickets (if available) on a 24 hour courtesy hold before releasing them back into the sale pool. Nominee letters with further instructions will go out November 1, 2017. Please advise the office 231-727-5007 or beatawards@gmail.com no later than November 5, 2017 of desired letter delivery.